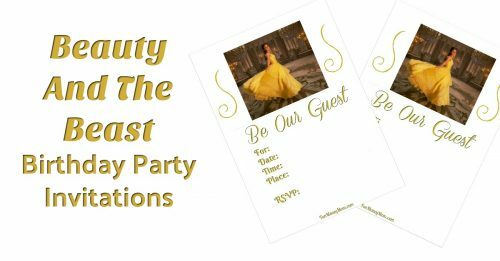 Whether you’re planning a princess party or trying to make sure you get all the autographs at Disney World, sometimes you just need a Disney Princess list. 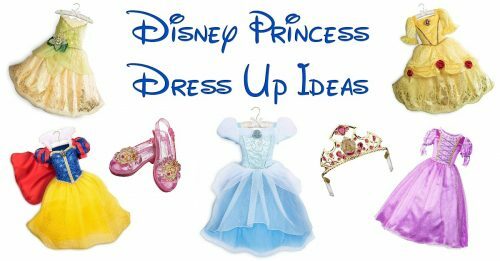 My brain is always overflowing with Disney princess ideas, whether it’s playing Disney princess dress up with the girls or creating Disney princess inspired Easter eggs! The problem is that sometimes I just can’t remember how many Disney princesses there are. I’ve find myself Googling to see just who are the official Disney princesses because I wouldn’t want to leave anyone out. 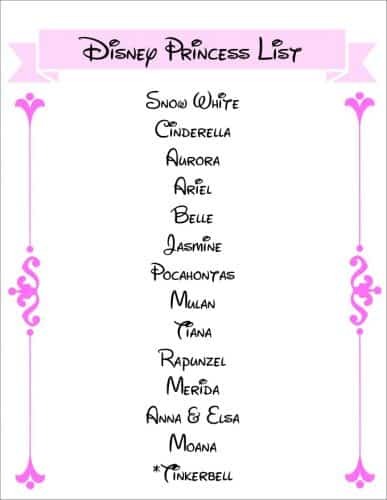 Instead of having to look them up each time, I’ve decided to make a Disney princess list for easy reference. I figured if I needed one, you might need one too. 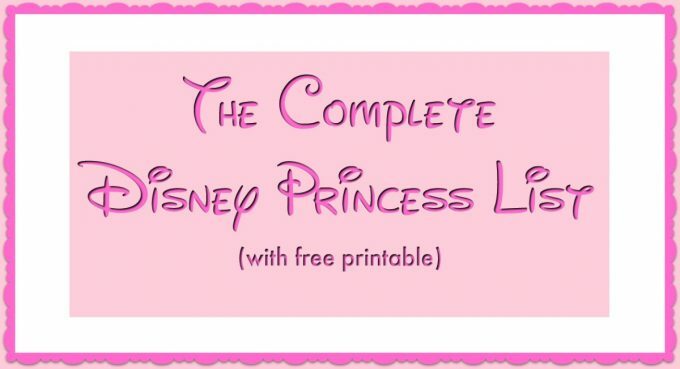 I’ve even made a free printable Disney princess list to make it easier to keep track of them! 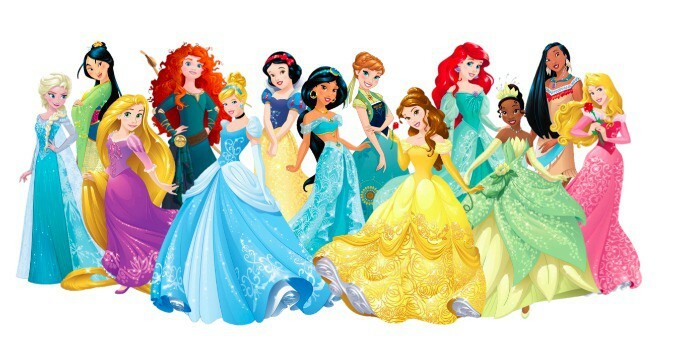 How Many Disney Princesses Are There? Well, right now the count stands at 15, though I’m still never really sure if Tinkerbell counts or not. Here’s the list of Disney princesses as of 2018 but I’ll be sure to update as they add more. 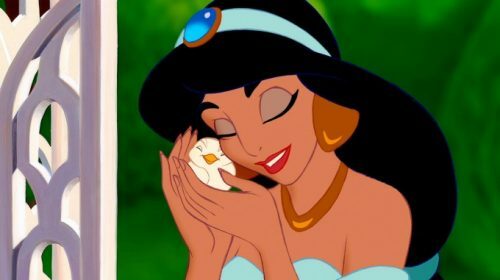 This list of Disney princesses begins with the princess that started it all, Snow White. Snow White And The Seven Dwarfs was Disney’s first full length feature film way back in 1937. Based on the Fairy Tale by The Brothers Grimm, it was a huge success and for a short time, held the record as the highest grossing sound film at the time. 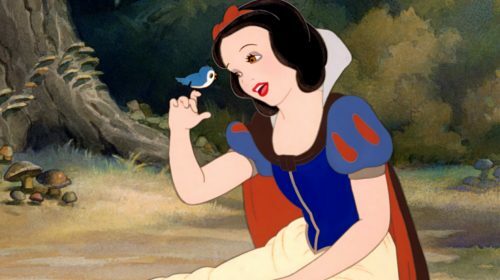 Fun Fact: Snow White was just 14 years old in the movie, making her the youngest of all the Disney princesses. 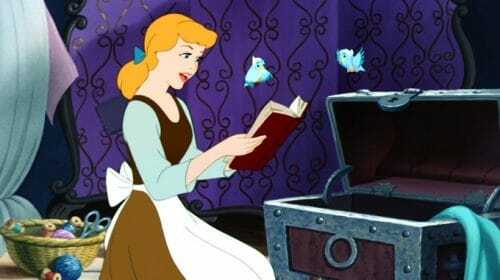 The next Disney princess film didn’t come until 1950 and is based on the French version of the book Cendrillon, written by Charles Perrault. Fun Fact: Cinderella’s prince is never actually referred to as Prince Charming in the movie. Next on our Disney princesses list is Sleeping Beauty, a.k.a. Aurora. Released in 1959, this Disney movie was based on another story by Charles Perrault, The Sleeping Beauty. 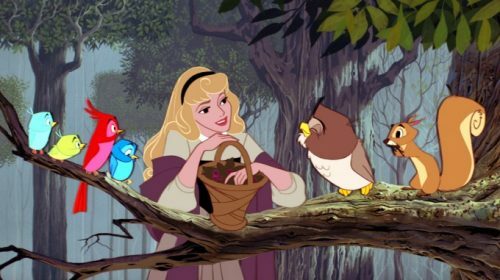 Fun Fact: Princess Aurora has only 18 lines of dialogue in the movie, making her the quietest of all the Disney princesses. I’m not sure what happened but there was a pretty big gap in the Disney princess lineup after Aurora. Released in 1989, The Little Mermaid marked the beginning of what’s known as the Disney Renaissance. 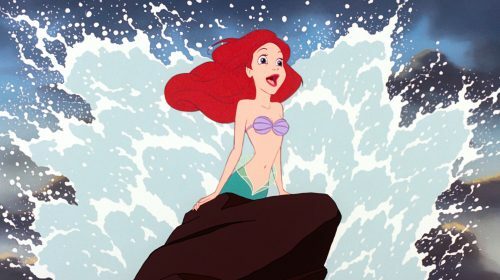 Based on Hans Christian Anderson’s The Little Mermaid, Disney is now working on a live action adaptation! Fun Fact: Disney animators used Alyssa Milano’s face as inspiration for drawing Ariel. 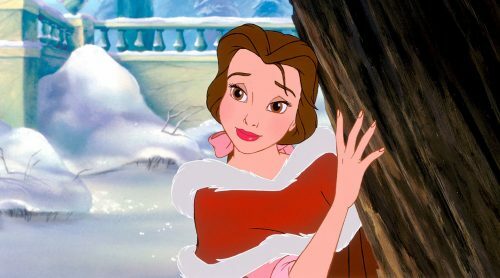 Fun Fact: Belle is the only person in town that wears blue, symbolizing that she’s different from the rest of the townspeople. Aladdin, based on the Arabic folk tale, was released in 1992 and we were introduced to Princess Jasmine. Fun Fact: According to one of the animators, Aladdin was modeled after three well known celebrities. His looks were based on Tom Cruise, he personality was modeled after Michael J. Fox (which I can totally see) and his clothes were inspired by M.C. Hammer. 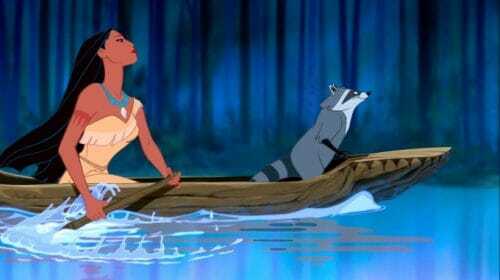 In 1995, we had our next Disney princess with the release of the movie Pocahontas. Fun Fact: This movie was released on the 400th anniversary of the year Pocahontas was born. 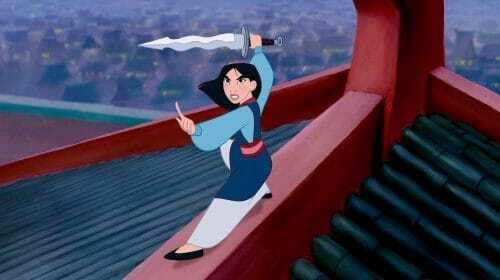 Disney’s Mulan was released in 1998 and is based on the Chinese legend of Hua Mulan. It was also Disney’s first ever DVD in 1999. Fun fact: Mulan was the first Disney princess to not actually be a princess. She wasn’t born or married into royalty. 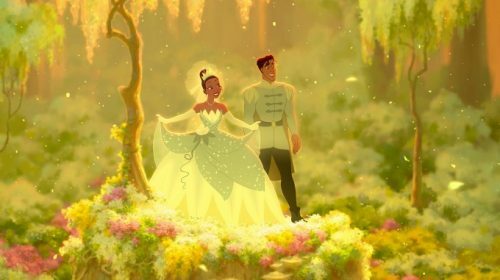 The next Disney princess, Tiana, made her debut in 2009 with The Princess And The Frog. This movie is loosely based on the Brothers Grimm tale The Frog Prince. Fun Fact: Tiana is the only princess with dimples. 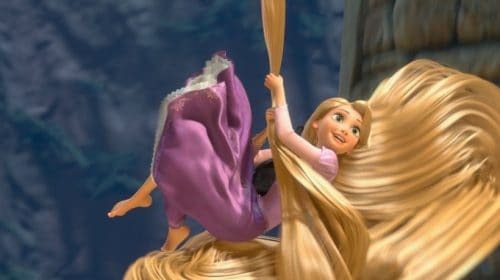 Rapunzel made her debut in 2010 with the movie Tangled. She became such a popular princess that now she even has her own television show. Fun Fact: Rapunzel has the biggest eyes of all the Disney princesses. 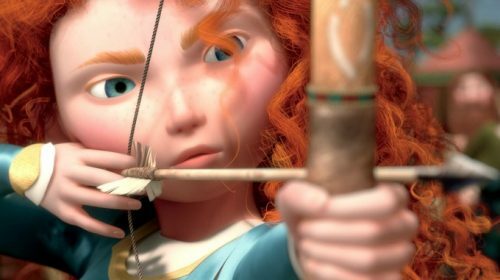 Merida became our next princess when Brave was released in 2012 and is the only one with an accent. Fun Fact: Merida is the only princess with brothers. Next on the Disney princess list are Anna and Elsa from the movie Frozen, one of the most popular Disney movies of all time! We were totally caught up in the craze and I stalked Disney’s website for a month before I could get Anna & Elsa costumes before they sold out again. Plus, can anybody NOT sing along with Let It Go??? Fun Fact: Kristen Bell (Anna) and Idina Menzel (Elsa) both auditioned for the role of Rapunzel in Tangled. 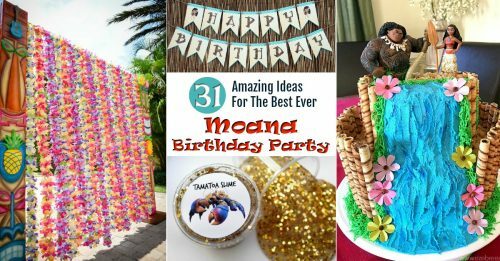 Our most recent princesses is also one of our favorites, Moana. With the release of her movie in 2016, Moana became our next princess. Fun Fact: Auli’i Cravolho, the actress who played Moana, celebrated her 16th birthday on the day Moana debuted in theaters. Tinkerbell first appeared in the 1904 play Peter Pan by J.M. Barrie and made her Disney debut in 1953’s Peter Pan. While technically she’s a fairy, she’s been such a popular character that it only seemed right to give her an honorable mention. Fun Fact: Tinkerbell got her own star on the Hollywood Walk Of Fame in 2010. Are you looking for a list of Disney princes too? While these leading men aren’t all technically princes, they’re the one that our princesses all lived happily ever after with. What happened to Princess Tiger Lily? I loved reading these cool facts! Thanks! I always love trivia like this too! How about that new princess ” Elena of Avalor ” ? ?